A modest rally in Cable picked up pace today as markets digested some upbeat economic data on UK manufacturing. Tomorrow will also mark the Bank of England’s October monetary policy committee meeting and release of their policy statement. No change in rates or QE is expected but the statement will be closely scrutinized given recent events in the US and the fragile state of the global economy. This will also coincide with the release of the minutes from the last meeting of the Federal Reserve. A glimmer of hope today came for the UK’s depressed manufacturing sectors. Growth in August stood at 0.5 percent which was the fastest expansion in nine months. Although this rebound did come off the back of a weak July reading of minus 0.7 percent. Further much of the increase was due to a turn-around in oil and gas production. The pound was firmer against most counterparts today following two weeks of hefty falls. 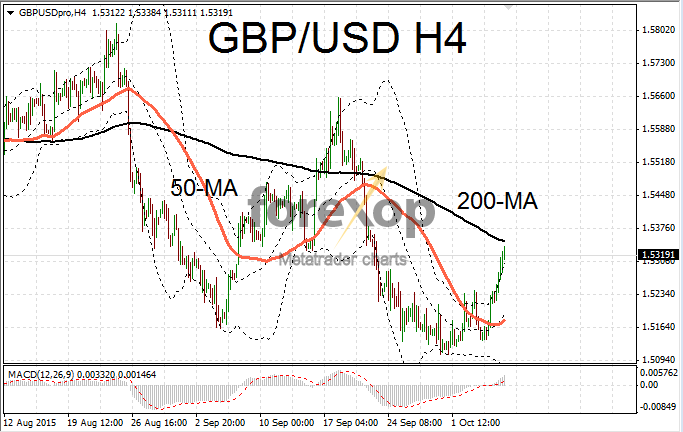 GBP/USD easily retook the 1.53 range after descending as low as 1.51 last week. The pair rallied strongly with few pullbacks today. This upward move was assisted by a weaker dollar –still “shell shocked” from last week’s awful nonfarm payrolls data. 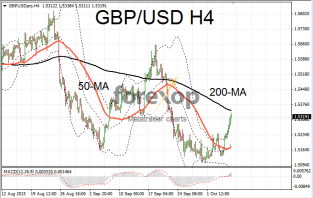 Though putting this into perspective the rebound in GBP/USD follows a fall of more than three percent which took the pair well into oversold territory. The strength of the pound also managed to reverse a rally in the euro which had taken EUR/GBP up to test the 0.74 area. EUR/GBP descended to 0.7340 during the session before meeting support and consolidating. Draghi’s speech yesterday, which was rather sedate, did not have a great impact on the euro. The ECB chief remained confident that the bank’s monetary injection (some 60 billion euros every month) is working and lifting economic activity across the Eurozone. GBP/JPY rallied for a sixth straight day with a move up to 183.80. Many economists are expecting the Bank of Japan will need to increase its monetary stimulus before the end of the year to push growth and inflation in the right direction – a decision that so far the BOJ has held off on.